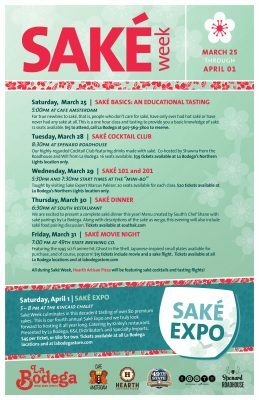 Our annual Saké Expo is like nothing you’ve seen in Alaska. This is where La Bodega holds nothing back, presenting over 80 sakés in a tranquil, calm, professional tasting. The people behind every table are excited to share their knowledge of saké while they pour your samples. 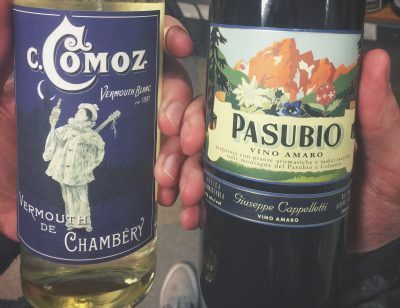 Whether you are new to saké or one of our local connoisseurs, this event will meet you there and you’ll leave more informed than when you arrived. The Japan Alaska Association will have a table at the Expo to talk with you about the great work they do for our community. 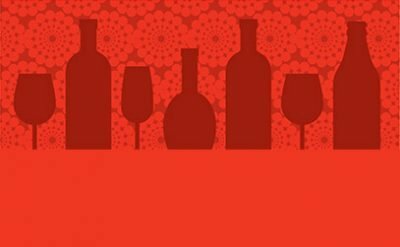 Catering for the Saké Expo will be provided by Kinley’s Restaurant. Desserts by Modern Dwellers Chocolate Lounge and Wild Scoops, who is bringing back their pear saké sorbet! All of the saké is available for ordering that evening, some of which is rare and limited in quantity. Tickets are $45 individually and $80 for 2 tickets. Purchase tickets online at www.brownpapertickets.com or at any of our three La Bodega locations.